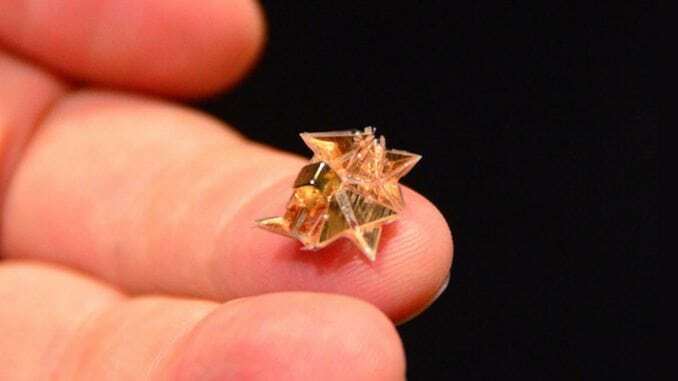 That’s right, the Massachusetts Institute of Technology (MIT) has come up with a pill-sized origami robot, which will help motor the unwanted plastic and other non-dissoluble objects safely out of the digestive system. How it works: The ‘ingestible’ robot can fold up inside a pill that is to be swallowed. Once it goes down the throat and reaches the stomach, it will unfold itself, following which it can be navigated around to clear the patch wounds or anomalies by doctors from outside by external magnetic fields. As a test, MIT scientists used a pill-shaped ice capsule to move the robot through a simulated esophagus and stomach. The origami robot can then propel itself through a process called ‘stick-slip’ motion, where it first uses appendages to latch onto a surface through friction, but then flexes forward like an accordion to change its weight distribution. Reports published by the team suggest that the biocompatible build-up of this robot is more flexible than that of other similar robots, like the one presented at the same conference the year before. This is why it is allowed to get twenty per cent of its movement from simple paddling forces, from its fin-like shape. (As reported in an article in ExtremeTech.) The biocompatible material often leads to relative malleability, and to counter that, the researchers had to come up with a design that requires fewer slits. 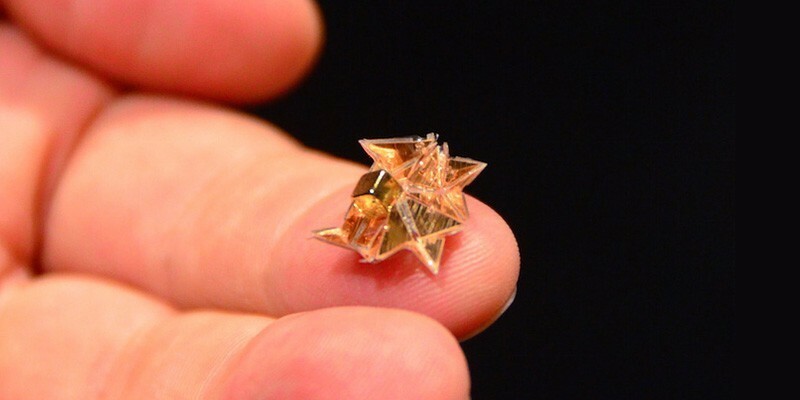 It’s really exciting to see our small origami robots doing something with potential important applications to health care,” Daniela Rus, the Director of MIT’s Computer Science and Artificial Intelligence Laboratory and who is also the Creator of the tiny origami robot. This project, which the researchers are presenting this week at the International Conference on Robotics and Automation, builds on a long sequence of papers on origami robots from the research group of Daniela Rus, which consists of- first author Shuhei Miyashita, who is a lecturer in electronics at the University of York in England; Steven Guitron, a graduate student in Mechanical Engineering; Shuguang Li, a CSAIL Postdoc; Kazuhiro Yoshida of the Tokyo Institute of Technology, who was visiting MIT on sabbatical at the time and finally; Dana Damian of the University of Sheffield in England. According to MIT News, In the U.S. alone, 3,500 people swallow the small batteries each year. They can burn the inside of the body if they have prolonged contact with the esophagus or stomach. To prove this point, Shuhei Miyashita, first author of the study, used a deli meat experiment to demonstrate the extent of the damage these batteries can have. According to Rus, half an hour after Miyashita placed the battery on the ham, it was fully submerged in the latter. This goes to show how dangerous an accidently swallowed button-battery of a similar device, can have on the human body. Quite naturally, it has taken several rounds of tests for the team to finally zero-down on this version of the origami robot. After a ton of trial and errors, the structural material they settles on, was the type of dried pig intestine used in sausage casings. “We spent a lot of time at Asian markets and the Chinatown market looking for materials. The shrinking layer is a biodegradable shrink wrap called Biolefin,” says Shuguang Li, who is currently doing a CSAIL Postdoc. The purpose of this invention, is to foster better health for human-beings. 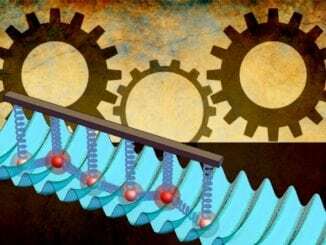 The research team hopes to apply these tests on living patients soon and discover an origami bot that can power itself without using an electro-magnetic field.